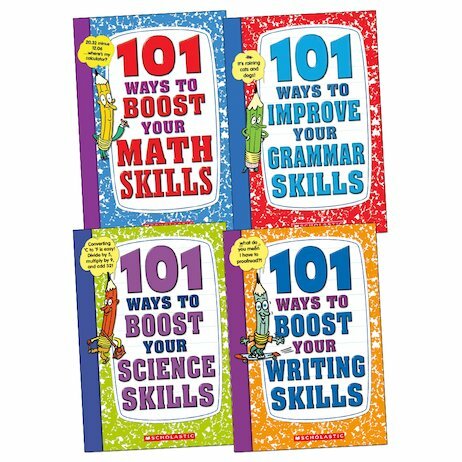 Bump up your grades in the major school subjects with handy books full of tips and tricks. Turn yourself into an academic whiz with these simple but effective study secrets. Using checklists and over 101 smart techniques, these books give you all the tools you need to boost your results and enjoy your learning more. Improve your maths skills, come up with ideas for a great science project or brush up your grammar and writing style! Whatever area you need to work on, the 101 Ways series will help you to get there in no time!